Our "Follow Up Siberia" series continues, with the discovery of another city and its local people. This time we are in Chita - the capital of the Transbaikal region. Chita is one of the largest cities in Eastern Siberia. The famous Trans-Siberian railway passes through here, connecting two continents - Europe and Asia. Due to its geographical position, Chita has always been at the crossroads of cultures. We came here with bloggers from different parts of the world, participants in the international cross-cultural program Follow Up Siberia, organised by Norilsk Nickel, in order to acquaint active young people with the real Siberia ahead of the upcoming Winter Universiade. The Transbaikal region has a common border with two countries at once - China and Mongolia. This fact largely determines the cultural diversity of the region. In Chita you can find the oldest wooden church in the Russian Far East - the famous Decembrist Church. But there is also one of the largest Buddhist temples in Russia - the Aginsky datsan. Buddhism in Transbaikalia was introduced by Mongolian and Tibetan lamas in the 16th - 17th centuries. Since then, this religion has been firmly rooted among the local peoples, mainly the Buryats. "Aginsky datsan absorbed all the traditions and customs of the Buryat people. Its the continuity of our culture and we are proud of it," says Cidip Lama. "I am very glad that I came to Siberia. We met wonderful people here and discovered a local culture that surprisingly was very much influenced by Mongolian culture," says blogger Analucia Rodriguez. In the past, to survive in the harsh taiga it was necessary to be a good hunter. Today, the need for this has disappeared, but archery is still held in high esteem among the peoples of Transbaikalia. The Buryats respectfully refer to the most accurate and skillful shooters as "mergen". Among them, Alexander Dambaev, multiple Russian champion and champion of Europe in compound archery. "Archery is in Buryats' blood. The spirits of our ancestors help us when we stand before a target with a stretched string,'' he says. Siberia is a land of tradition. But in the 21st century this remote region faces new challenges - the need to develop new technologies. In Chita, together with bloggers, we met with Eugenia Mezenina, the founder of a school for children, "Zablab", where, starting at the age of 6, kids can get acquainted with the basic principles of engineering and robotics. "Today, the geographical situation of Siberia is no longer a barrier to the development of technical thinking and modern technologies," she insists. Transbaikalia is a region amazingly rich in natural resources, where the majestic Siberian taiga meets with endless steppes. But not only! 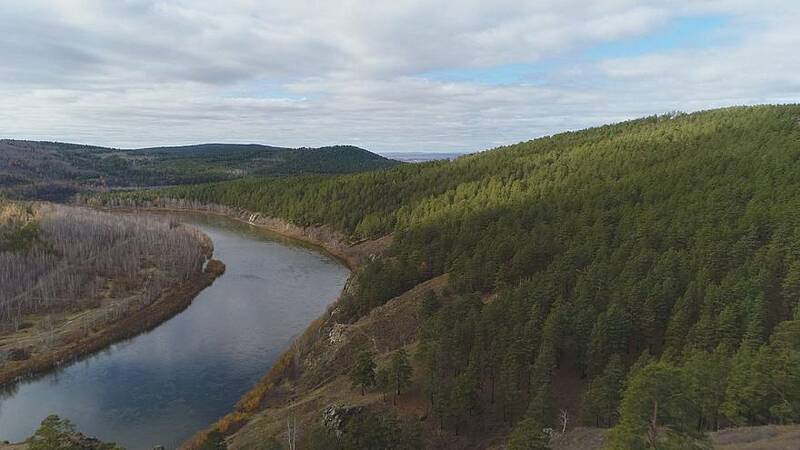 Transbaikalia is also a land of mighty rivers, a so- called world watershed, where the basins of three major rivers, the Amur, Lena and Yenisei, take their sources. Their waters begin to flow here and end a few thousand kilometers away, in the Arctic and Pacific Oceans. ''I think Siberian people are friendly. They are interested in different cultures,'' says blogger Anica Kolic from Croatia. During our stay in Chita we learned how to cook traditional the Buryat meal Buuz - a favorite dish of steppe nomads, which is prepared here according to a special recipe. And what could be better than completing our journey with a stage performance of Anton Chekhov's short story "The Swedish Match", who wrote in his notes during his trip through Siberia: "Before you reach the lake Baikal you feel prose. Only when you leave lake Baikal behind you real poetry begins".